These fruits contain a class of antioxidants which can help prevent obesity-related chronic diseases. Researchers have found that oranges and other citrus fruits can stop obesity’s harmful effects in mice fed a high-fat, western-style diet. Citrus fruits contain ample quantities of vitamins and substances such as antioxidants which are beneficial for health in general as well as help maintain blood pressure and healthy heart. Now scientists report beneficial effects of a class of antioxidants in citrus fruits called flavanones. According to the U.S. Centers for Disease Control and Prevention, in the U.S. more than one-third of adults are obese. Ms Ferreira points out that oxidative stress and inflammation in obese people increases the risk of developing diabetes, liver and heart disease. Consumption of a high-fat diet accumulates fat in the body and fat cells can generate a number of reactive oxygen species (ROS). Through a process known as oxidative stress, cells are damaged by ROS. Under normal conditions antioxidants in the body can fight off the molecules, but this won’t work in obese patients as they have very enlarged fat cells. The bigger fat cells, the greater the production of ROS, which results in the body being unable to fight them off. Citrus fruits contain high level of flavanones and previous studies show that citrus flavanones can reduce oxidative stress. 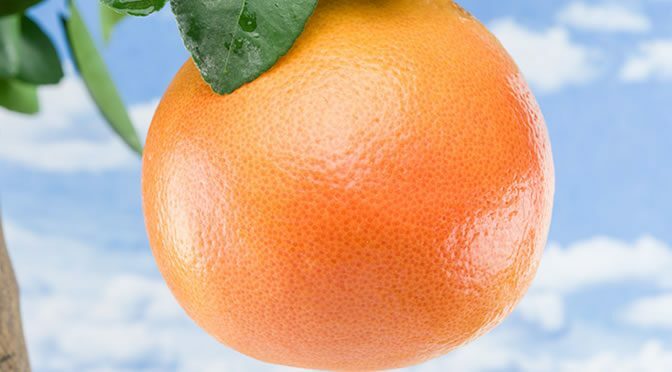 This time the researchers examined the effects of citrus flavanones in mice fed a high-fat diet. The mice were treated with flavanones from oranges, lemons and limes and the type of flavanones were hesperidin, eriodictyol and eriocitrin. They were divided into different groups and fed either a high-fat diet, a standard diet, a high-fat diet plus eriocitrin, a high-fat diet plus eriodictyol or a high-fat diet plus hesperidin for a month. Compared to mice on a standard diet, those who were on the high-fat diet without flavanones had 57% increased levels of cell-damage markers in the liver and 80% higher levels in the blood. The cell-damage markers are called thiobarbituric acid reactive substances (TBARS). However, mice fed a high-fat diet plus hesperidin, eriocitrin or eriodictyol showed a reduction of TBARS levels by 50%, 57% and 64%, respectively. Eriodictyol and eriocitrin reduced the blood levels of TBARS by 47% and 48% , respectively. Hesperidin and eriodictyol also reduced the accumulation of fat and liver damage. “Our studies did not show any weight loss due to the citrus flavanones. The next plan is to conduct human studies to examine the best way of administering these flavanones — whether consuming citrus fruits or juice or making pills rich in these antioxidants. The research was presented at the 252nd National Meeting & Exposition of the American Chemical Society (ACS).